Bringing back the Rewind feature this week, we are sharing some art related videos that you might find interesting. 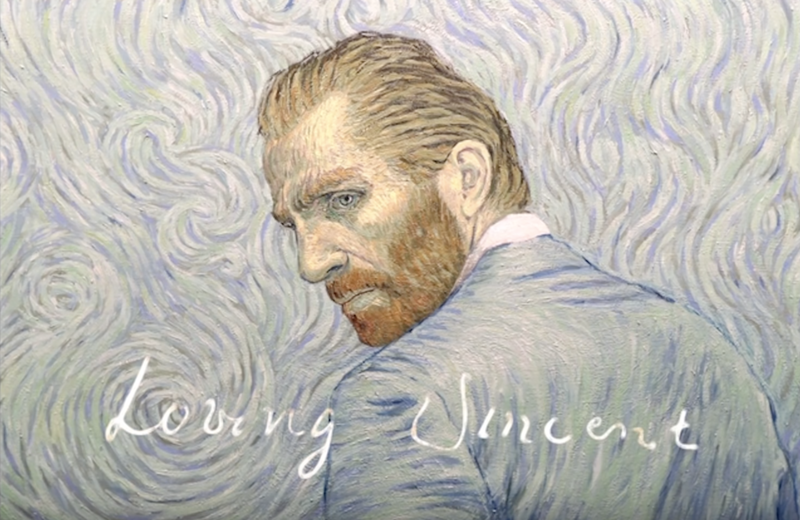 First up is the trailer for an amazing upcoming film Loving Vincent on the turbulent life of Vincent Van Gogh. The project features 12 hand-made oil paintings per second that were created in the style of the renowned painter with one hour of film equaling 43,200 paintings. Interview with Felipe Pantone about his new book. The WK Interact – Pistorius project video released. Rime painting a memorial piece for NACE. Trailer for A Space Program from Tom Sachs. Tristan Eaton paints the REBEL8 HQ. Creative Lives visits Tiffany Bozic. Mobstr interviewed by Sky News. Beautiful short film about Brad Kunkle and his work. Trailer released for Hockney film documentary. Amo-Te Lisbon – an ignominious street a̶̶r̶̶t̶̶ movie released on YouTube. Josiah McElheny: Making a Projection Painting from Art21. Teaser for BIO:DIP featuring projects by Hayden Dunham & Nicolas Lobo. A feature on the occasion of Saatchi Gallery’s women in street art show. Categories: Contemporary Art, Features, Low Brow & Pop Surrealism, Rewind, Street & Urban Art, Videos. Tags: Brad Kunkle, Contemporary Art, David Hockney, Features, Felipe Pantone, Josiah McElheny, Low Brow & Pop Surrealism, Mobstr, Rewind, Rime, Street & Urban Art, Tiffany Bozic, Tom Sachs, Tristan Eaton, Videos, WK Interact.